Norbain is pleased to announce the new Wisenet WAVE video management software (VMS) from Hanwha Techwin, which makes it almost effortless to display up to 64 high definition video streams. Hanwha Techwin already offers an entry level free VMS called SSM and, for sophisticated Enterprise level VMS projects, the company integrates with technology partners such as Milestone. Wisenet WAVE has been launched to answer the needs of projects in the middle ground with an emphasis on simplified user experience. An intuitive ‘drag & drop’ tool makes it extremely easy for operators to set up a display of live and recorded images on a single screen or video wall, with customisable layouts and sizes. Other key features include a virtual PTZ which, with just a simple click of a mouse, enables operators to zoom in to see close up detail of any suspicious activity, whilst motion detection and video analytics support can be configured to generate alerts when user defined incidents occur. A wide range of smart, keyword, calendar and time-slice search options facilitate rapid retrieval of recorded video. Whilst Wisenet WAVE is packed with features to make it simple and easy for users to achieve maximum advantage from their video surveillance systems, it is likely to also be popular with system integrators looking to minimise on-site time. 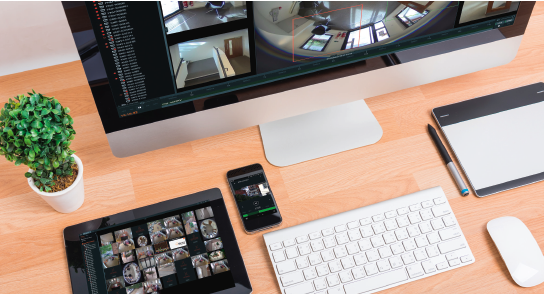 With the benefit of an auto-discover feature, connected cameras and a wide range of 3rd party IP network devices can be addressed and set up within just minutes.